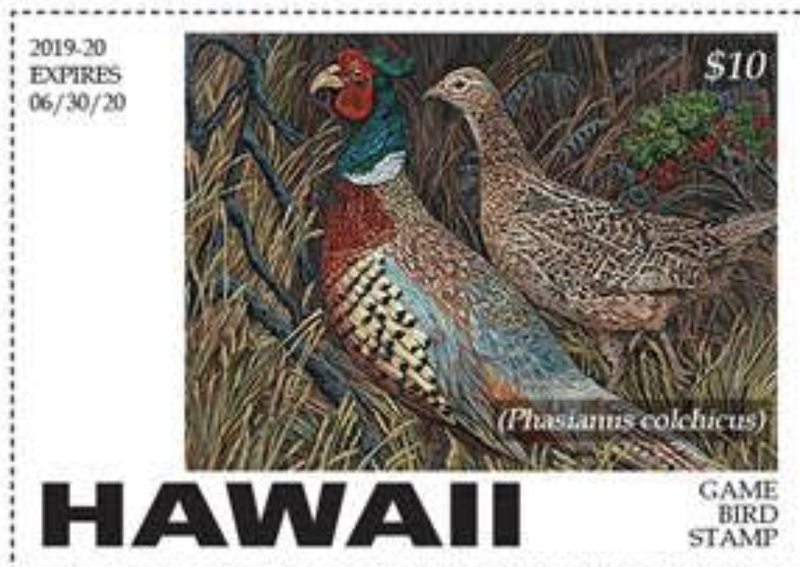 The Hawai‘i DLNR Division of Forestry and Wildlife (DOFAW) is seeking entries in an art contest to depict a Game Mammal and Game Bird for its 2019-2020 hunting stamp contest. 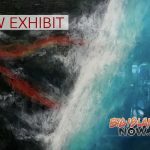 The wildlife conservation stamp is required on the Hawai‘i state hunting license, and the game bird stamp is required for those intending to hunt game birds. Both stamps will be available to wildlife stamp collectors. All entries must be received by Feb. 8, 2019. Notification of the winner will be made on Feb. 15, 2019. All paintings sent must be accompanied by a $35 fee to cover the cost of returning artwork. If a check is not included you will need to come to the DOFAW Administration Office to pick up your artwork. Checks are to be made payable to the Department of Land and Natural Resources. Otherwise, a photo, print, or photocopy of an original painting may be sent with no fee. 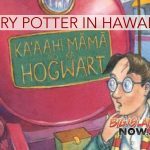 Questions regarding the contest can be emailed to shaya.honarvar@hawaii.gov. Last year, revenues from both stamps were used to cover some of the costs of maintaining hunting units and to add game bird and game mammal hunting opportunities where possible. Funding helped pay for facility development, game mammal and game bird surveys, management of hunts, signage, commissions to vendors for the sales of hunting licenses, supplementation of game bird populations in new areas, implementation of food crop plantings for game birds, mowing grasses and weeds to allow hunting and predator control. 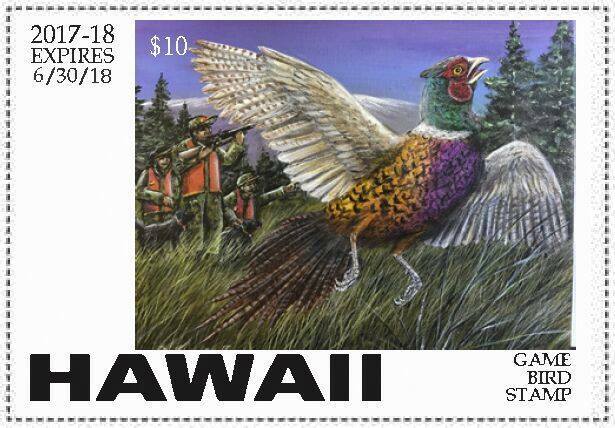 Proceeds from the sales of wildlife conservation stamps will also provide funds for the annual lease rental of the Lana‘i Cooperative Game Management Area and several other hunting unit leases.